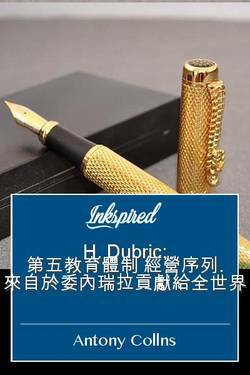 Inkspired - Who is H. Dubric? 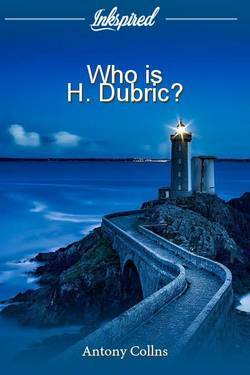 For us as collaborators and lovers of the literature of H. Dubric, is rather flattering to be, with a simple character, easy going, didactic, frivolous, joyful, and so far from looking for vainglory. 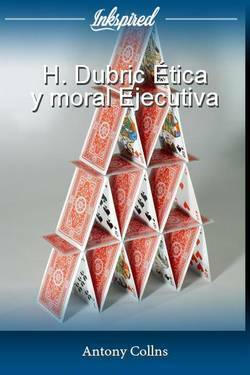 H. Dubric: Some Biographical Data about Fifth Managerial System´s creator. He is interested neither in photographies nor in plates, honors or any recognition by his disinterested labor that he realizes with his books and the multiple seminars he has dictated to the formation of the NEW EXECUTIVE. He clarifies that it is not necessary to evaluate people due to their curriculum, since he has always defined this one as a mask that hides the gift of people. That is the reason why he does not place anything about his background in his books. As a Venezuelan native, he expresses his deepest feeling for this generous land, full of nuances and colors which saw him to be born. It has allowed him to develop as a person and professionally. It has influenced on him a grain of sand in his behavioral performance of the executive and entrepreneur today. For this reason, those who we are interested in his work is known, we look for similarities of meeting, in order to the readers to achieve to clarify their doubts about this extraordinary writer of managerial topics. 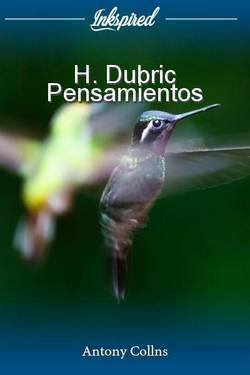 H. Dubric is a son of a Venezuelan countrywoman, and of an emigrant worker. He was born in Los Andes lands, the same day, month and year, in which the astrophysicist Alan Hulse Russell was coming also to the world. From his childhood he was very anxious about the affairs of life, and why of creation. He shared with brothers and sisters, the shortage of financial resources at that time. This never daunted him; it kept rather enthusiastically, and remembers those days with joy, because it served to be arming the puzzle of existence. Nothing prevented him to continue forward and to seek new horizons, separating to early age of his family (19). 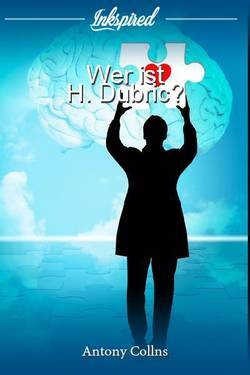 He has been an expert of the big classic ones like: Socrates, Plato, Aristotle, Homero and also of Baruch Spinoza, René Descartes, Gottfried Leibniz, Erasmo de Rótterdam, Giordano Bruno, Dante Alighieri, Emmanuel Kant, Goethe, Michael of Cervantes Saavedra, Víctor Hugo, Alejandro Dumas, and many others without forgetting, of course, with regard to his profession and to his area of development which is the MANAGERIAL ONE. All this led him as a teenager to become an observer, analyst and very retailer. He never accepted that the existence was a purpose to manage to satisfy only external needs. He always saw it as an absolutely absurd. He was considered in his youth, in many opportunities as an irreverently without being, because he did not accept extreme religious dogmas, not commanding politicians. First one he was opposed to the dogmas of faith, and this made idea him an anthropomorphous being who is sitting in a throne there in the "sky" sending beams and sparks, to all those that are out of the plot, and it is evident that several conflicts were gained. Second one since his childhood, he did not share the pursuit and the violence of the commanding system against those who were differing, since always he has been a lover and defender of the freedom, properly understood and the respect of the free will. On April 1.992 marked on him the start as a Businessman in the Merchandise and Business Consulting, as it once was expressed by himself "I made myself a free agent" by the circumstances prevailing in the country. In those days, he has already taken in his baggage 17 years of experience in those walls where people named private company. They were his beginnings level as a private soldier – as he writes it – he was climbing in rapid form, because of his conduct and way to acquired knowledge, to relevant charges in big companies, as in Venezuela as out of the country. It has Always been inside the direction of the Marketing and Merchandising. His FIFTH SYSTEM OF DIRECTION AND MANAGING OF THE FREE INITIATIVE has turned into the only one real support to go out of all the CRISES, since it grants the tools to develop authentic STRATEGIC VISION, so necessary in these difficult times. It reiterates that "Every existential crisis on the planet, named: political, economic, religious, social and so on. Including natural ones has its root in the psyche of the human beings"
He does not have any interest in being the center of his work, but his FIFTH MANAGERIAL STYLE OR SYSTEM OF DIRECTION AND MANAGING OF THE FREE INITIATIVE delivered in 1974 is the one which speaks in his place. 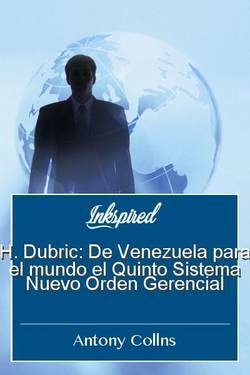 From Venezuela to the world, the Fifth New Order Management System. A new way of thinking. The answer to all challenges! 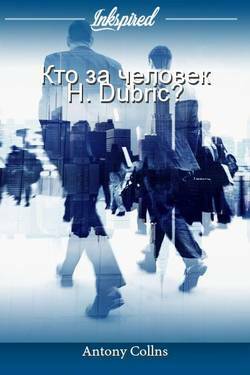 1.- H. Dubric: Some Biographical Data about Fifth Managerial System´s creator. 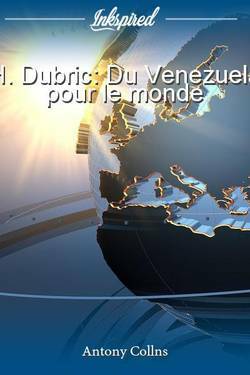 March 26, 2018, 10:48 a.m.
2.- H. DUBRIC, FROM VENEZUELA TO THE WORLD March 26, 2018, 11:07 a.m.